On-line bookings to see Santa over the last few days before Christmas have been restricted to give priority to people that are waiting in the queue to see him. 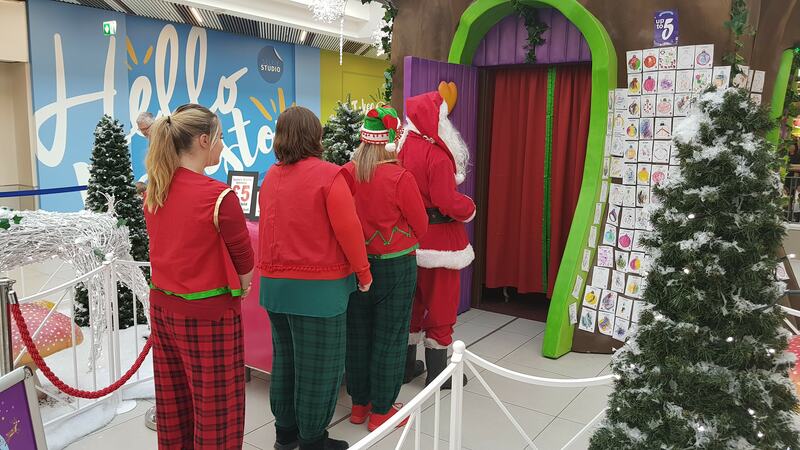 So the best way to see the big man – just join the queue! We decided to be fair, to all those that are waiting patiently to have a chat with Santa, that they won’t also have to wait while a pre-booked appointment takes priority! That has always been the beauty of the Grotto in the Mall Maidstone. You don’t have to pre-book! You just turn up and tag on to the end of the line. Just turn up and join the queue. Santa loves to see happy children. And that why you don’t have to book to see me when you visit my beautiful Grotto in The Mall Maidstone. Just turn up and join the queue! I will get round to seeing all you lovely children and finding out exactly what you want me to bring you on Christmas Eve. Copyright © 2019 Santa in The Mall . Powered by WordPress and Stargazer.